In honor of our 100th anniversary, we thought it would be fun to do a picture-based retrospective. But then we realized just how LONG 100 years is. So to do it justice, we're breaking up the retrospective into manageable installments that we'll publish throughout the year. 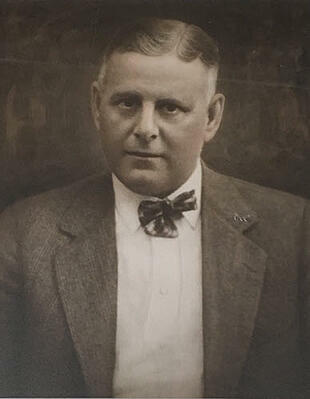 In 1919, an entrepreneurial young man named Lloyd A. Cartwright founded the Minto Toothpick Company in Saginaw, Michigan. That's Lloyd below. Don't you love his dapper bowtie? The newly formed company purchased and processed toothpicks in Saginaw (dipping them into a mint-flavored solution) and operated in Saginaw until 1920 when its only toothpick supplier discontinued operations. In 1920, Lloyd Cartwright decided to establish a small toothpick manufacturing plant in the state of Maine where white birch—the materials used for his toothpicks—was plentiful. 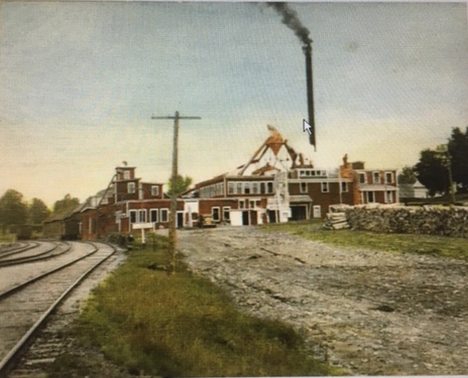 After considering several locations, he chose Guilford, bought a box mill, and converted it into a small toothpick production factory. Each year, the company slowly expanded its facilities by adding new machinery and buildings. Check out the image below with the factory in the background and the white birch logs in the foreground. In 1930, the company name changed to Hardwood Products Company. Production facilities operated out of Guilford, and sales and administrative offices remained in Mayville, Michigan. 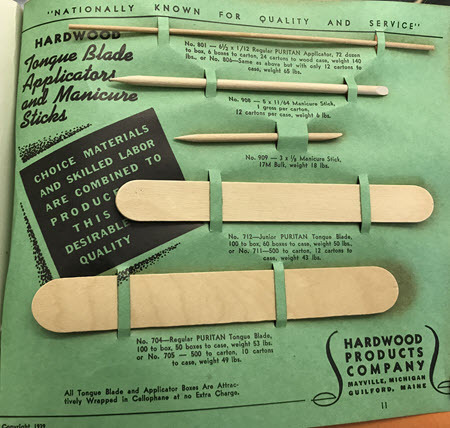 The company diversified its manufacturing lines to include tongue depressors, applicator sticks, ice cream spoons, meat skewers, round candy sticks, cocktail forks and stirrers, coffee stirrers, individually wrapped spoons, and many other single service products in addition to toothpicks. Of course, the 1930s were a challenging time for everyone, thanks to the Great Depression and global unrest that would ultimately lead to World War II. During the Great Depression, Hardwood provided full-time positions and even seasonal jobs for area residents in need of work. This story below told by a young college woman named Sally Adams explains how important these jobs were to the people of Guilford. 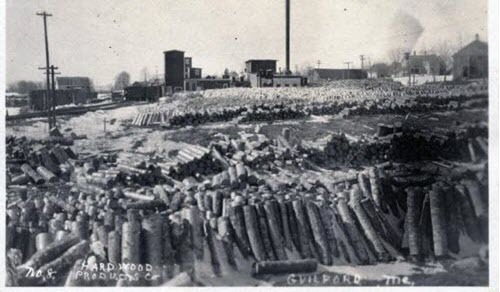 World War II affected the workforce everywhere, including Guilford. Many area men went off to fight, including Hardwood employees and family members. But Hardwood remained strong and entered the 1940s in good shape. In 1948, Hardwood trademarked the well-known Puritan® brand. All Puritan medical products bear the name and a version of the logo to this day. By 1950, the owners and management said so long to the Wolverine State and consolidated administrative, sales, and manufacturing divisions in Guilford. The 50s would prove to bring its own unique challenges to the company—including a devastating one that could have resulted in "The End." More on that in our next installment, because what's a good 100th anniversary retrospective without a few Hollywood-worthy plot twists and cliffhangers along the way?